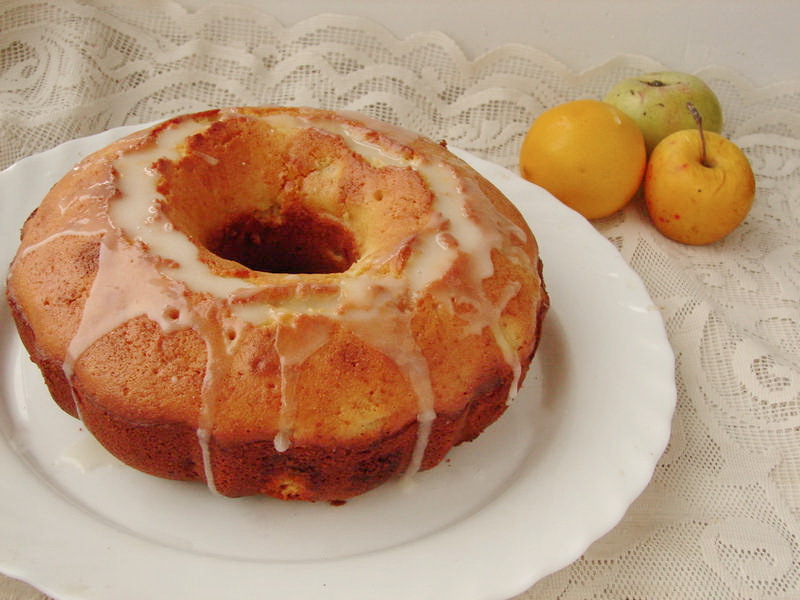 Bananas are my favorite fruits! 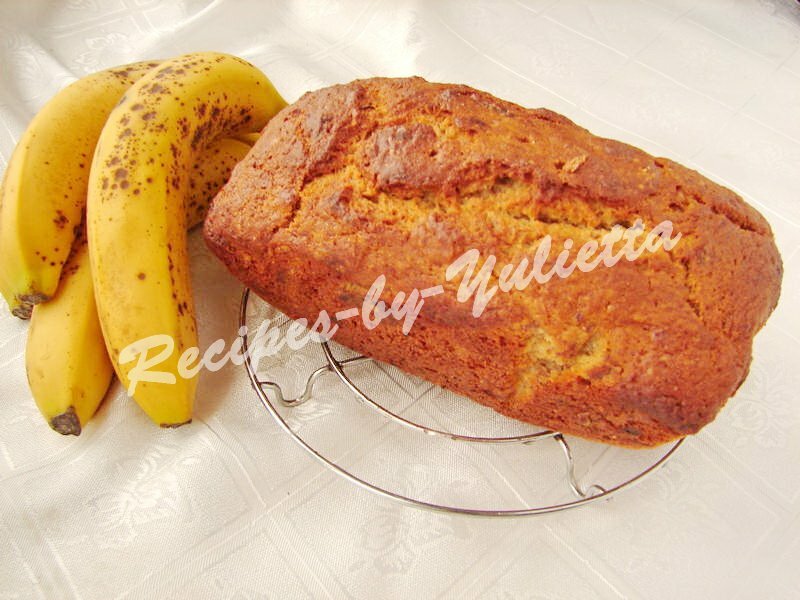 And now I want to share with you the delicious recipe of Banana Bread! 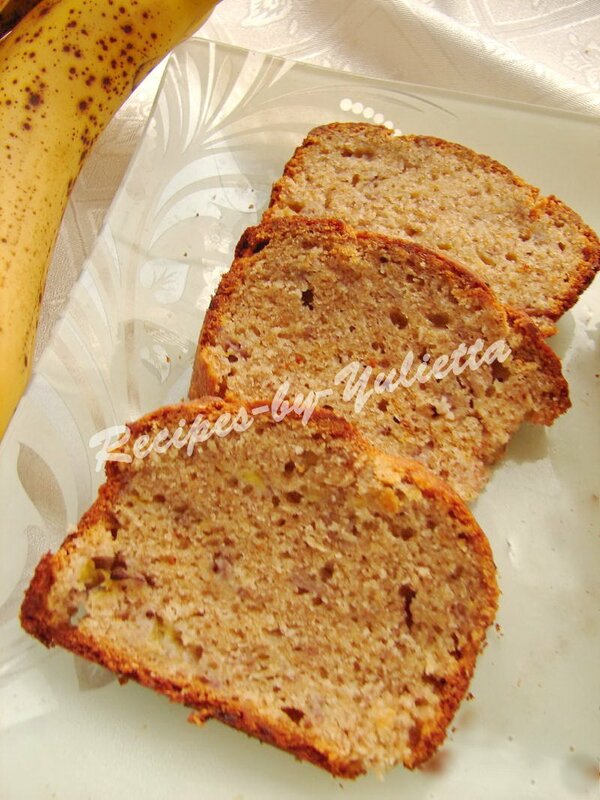 If you have some overripe bananas, let’s bake this yummy banana bread. 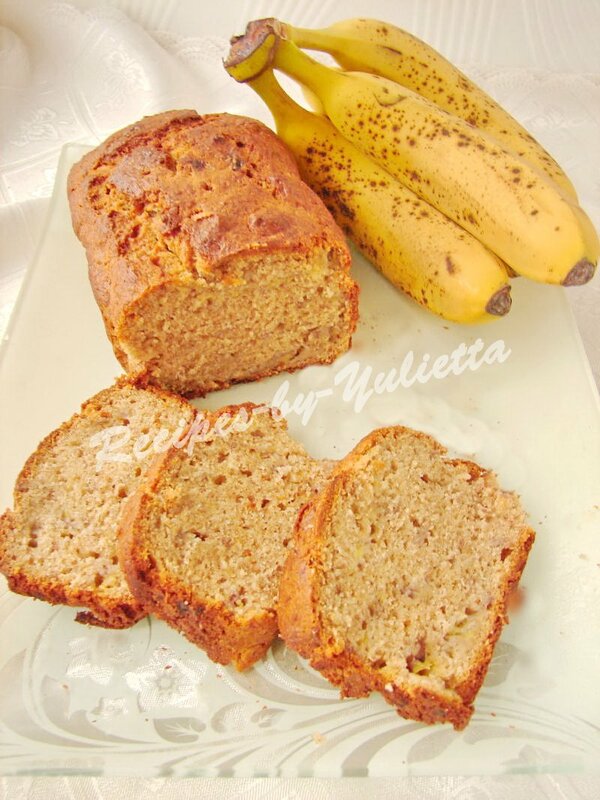 You can take for the bread unattractive fruit with black peel. 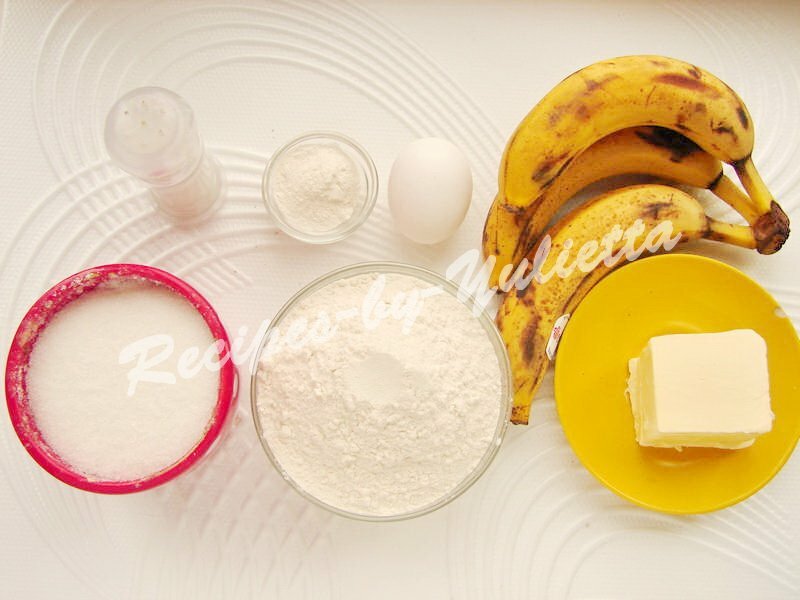 However, that bananas are quite eatable, and it are suitable for baking even more, than fresh yellow fruits. 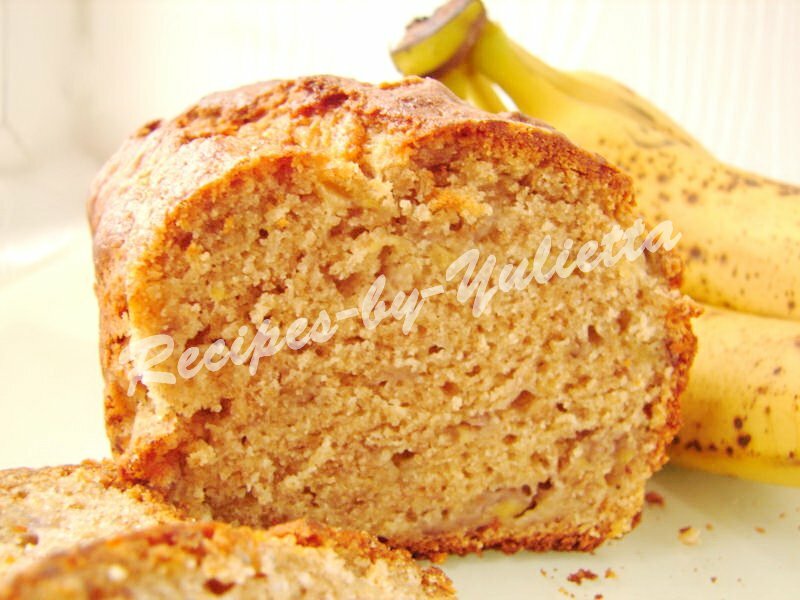 I offer you the simple recipe of banana bread without baking soda and brown sugar, but with whole grain flour. 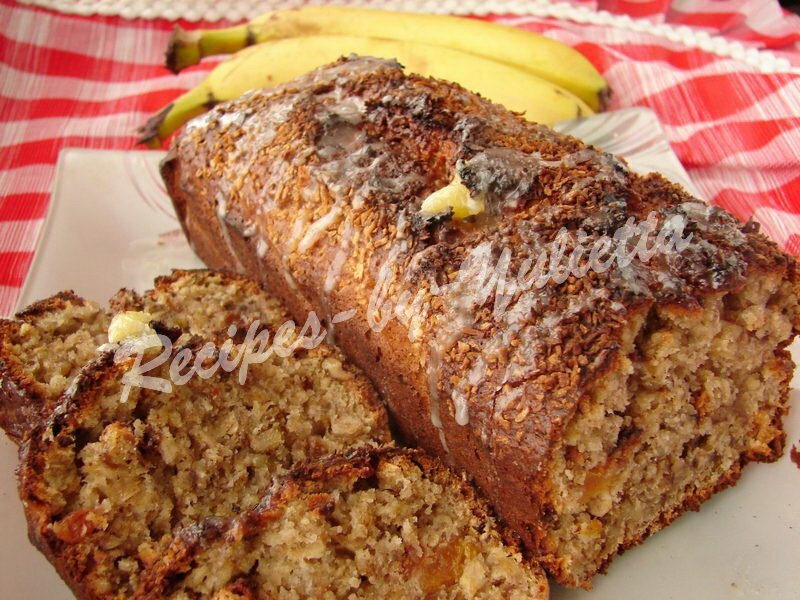 The cake loaf with bananas turns aromatic and delicious! 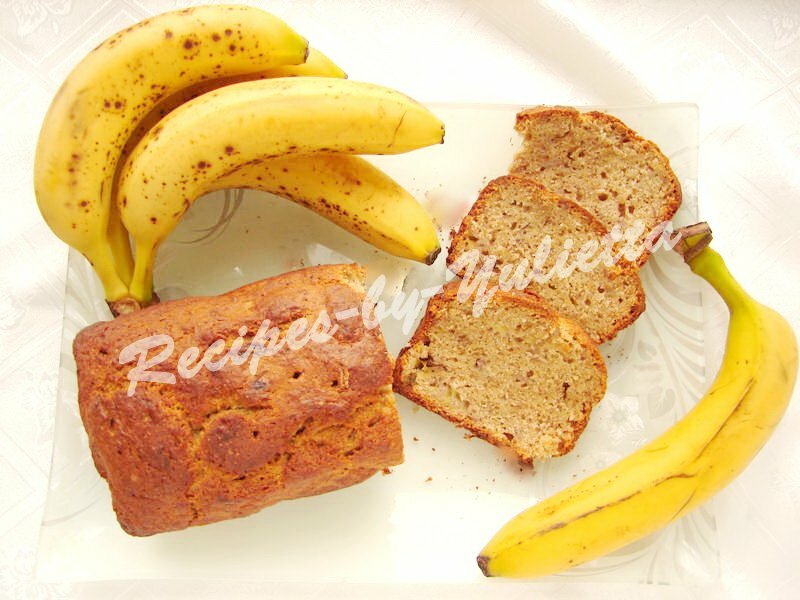 Our banana bread is cooks without baking soda, instead of it we will use the baking powder. 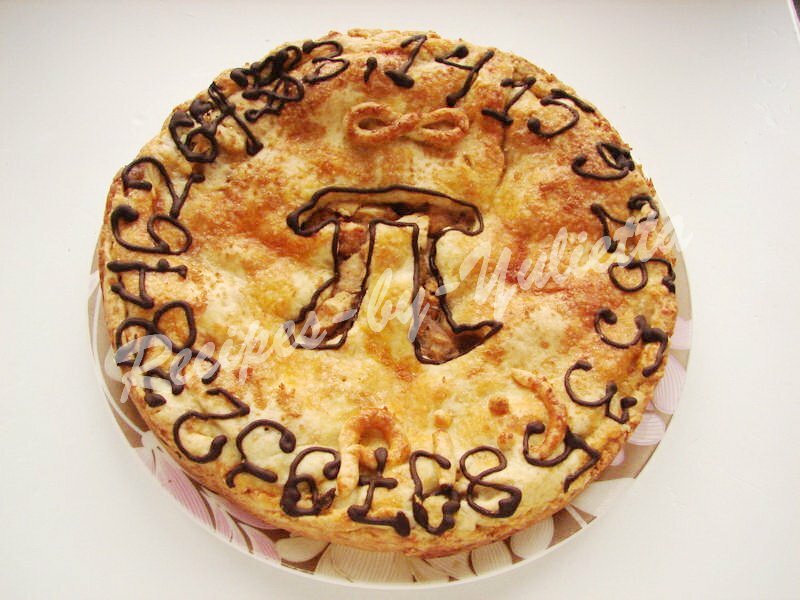 Cook time: preparing 20 minutes, baking 1 hour. 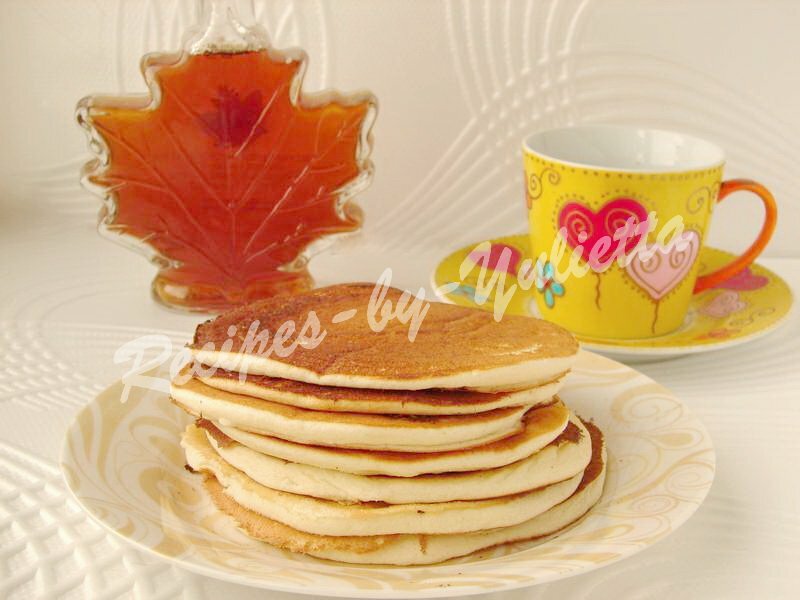 You may take for 100 g of two sorts of flour or 200 g wheat or whole grain flour only. 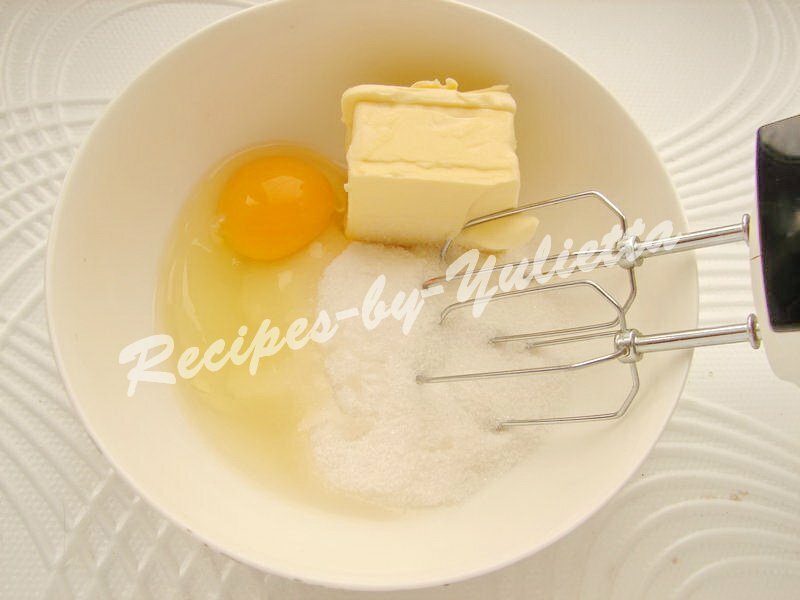 Mix soft butter with sugar and egg. 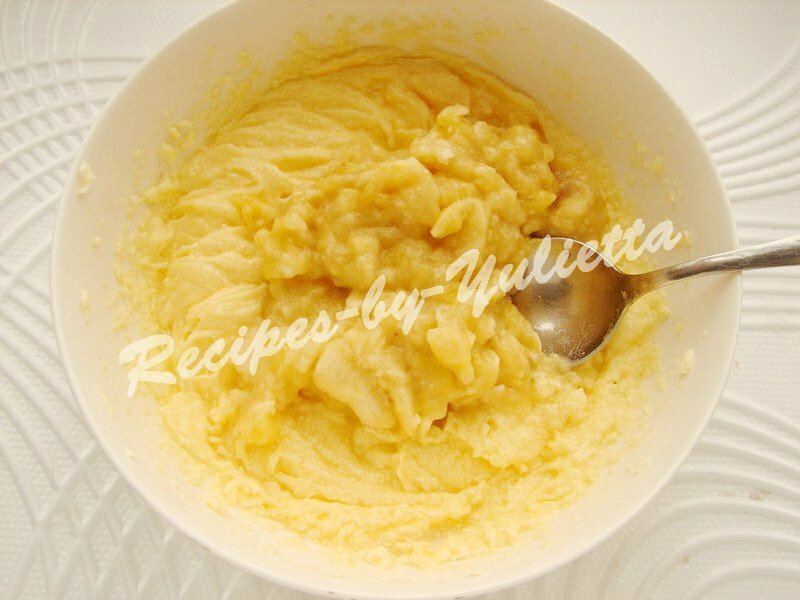 Peel bananas and mash them with fork or blender. 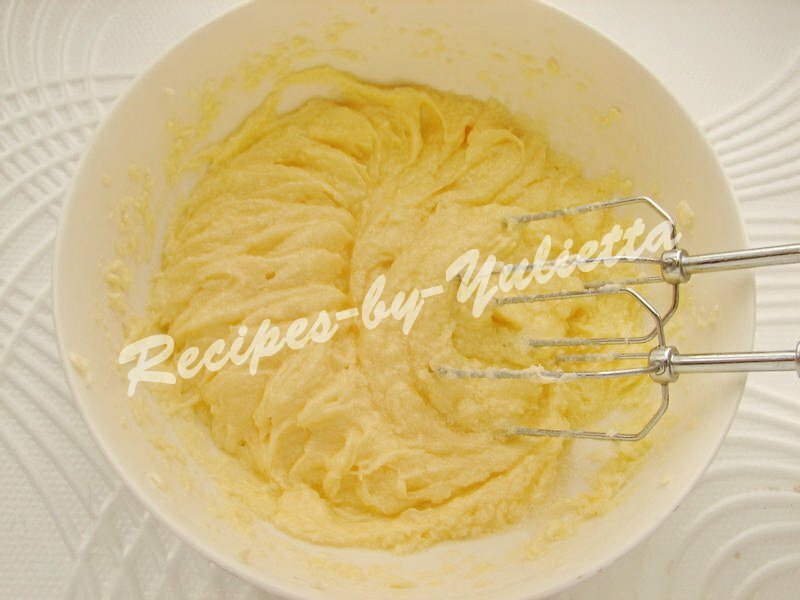 Add bananas to the whipped butter and mix. 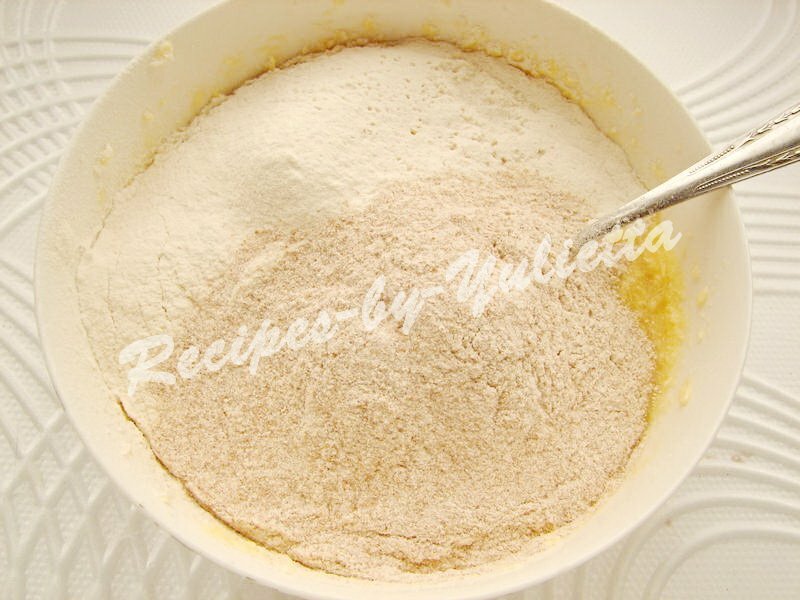 Sift two kinds of flour with the baking powder and add the salt. 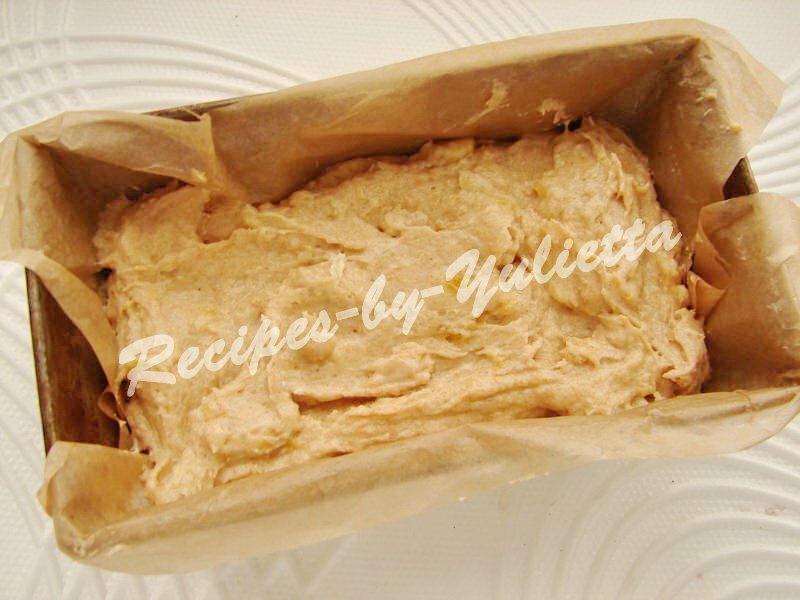 Mix and put the dough into the baking form, covered with oiled baking paper. 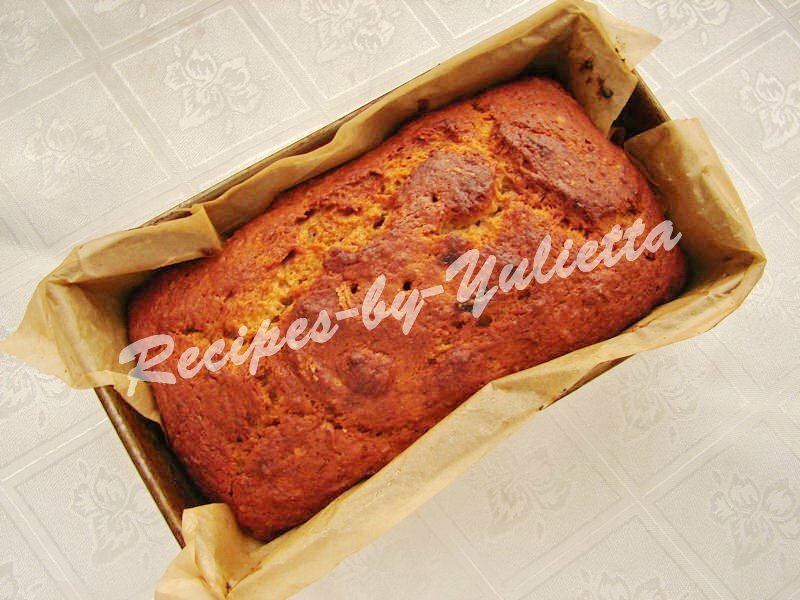 Bake the banana bread at 180 C (356F) about 1 hour, until dry stick. 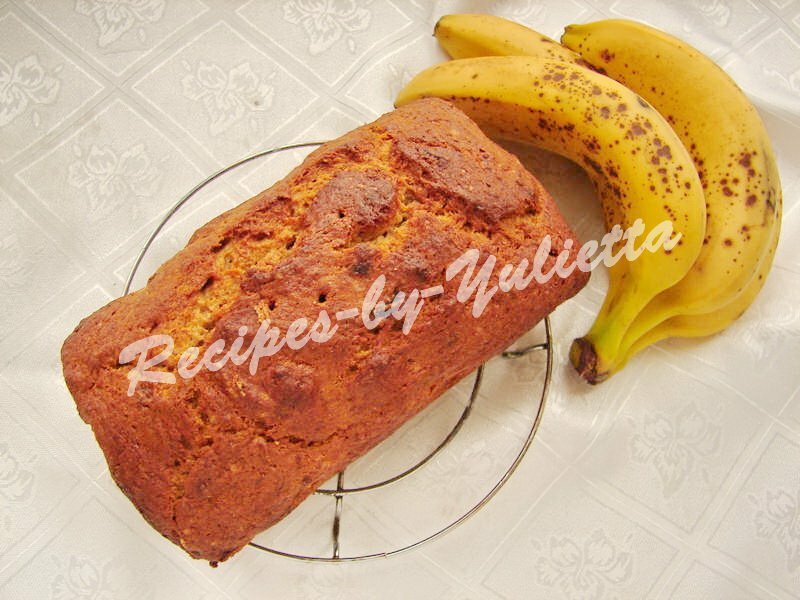 Get the banana cake loaf out of the baking form and cool down for a 10-15 minutes. 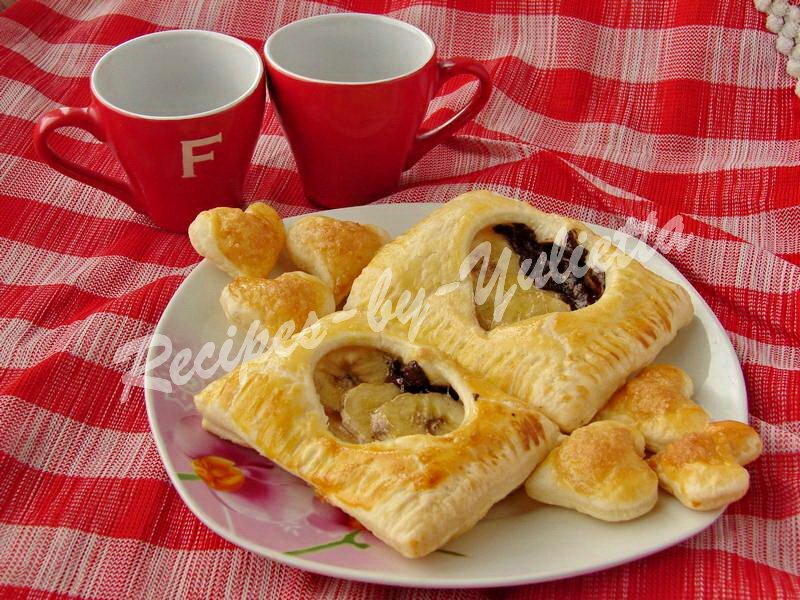 Then cut the warm, flavorous bread and enjoy it with the cup of cocoa or milk!